Grange Growth is something that a lot of people talk about but don't do anything to make it happen. Yes, it is easy to say "I want the Grange to grow," but it is a whole other thing to actually do something to make it happen. Grange Growth is created by action. Do you agree? Well, how else do you think it is going to happen! You must do something if your Grange is going to grow. Asking someone to join requires you to at least ask. How about we start by focusing on just one thing like "filling the needs". Whose needs am I talking about? The first is the family and the second is the community. Service to the family (value), is of the utmost importance if we are to bring in the younger members. Many of the folks that we would love to have join the Grange are the Moms and Dads. They have 2.4 kids that they would do anything for. They drive them to school, take them to piano, karate, soccer, baseball, etc. You get the drift: they are busy. So what does your Grange do or have that these families would see as valuable? How about some friendship/fellowship? This is the #1 reason people join the Grange. Are you welcoming to the parents and their children? We should welcome children in and help out when we can to entertain the kids or offer a place to color, play, or do homework during the meetings. I know that when my kids were younger my wife, Jacquie, or I had to stay home from Grange to put the kids to bed because the meetings went too late. We should do something fun that the whole family can participate in. Remember these parents will do anything for their kids so adding the kids into the fun is always a big hit. Oh there is that "fun" word. I slipped that in kind of quietly. Yes, it is OK to have fun at Grange. We should try and make everything we do have some level of "FUN" in it. Allowing family members to hold offices in the Grange. Becoming officers and having responsibilities is the Grange way of helping our members develop personal leadership skills. Having 4-H kids come and do speeches or the local FFA practice their parliamentary procedure before a state contest are of great VALUE to our local families. We can fill a real need in our communities by getting to know our families. Relevant involvement in our Community. We have been using "Community Grange" now for a while. In some cases I can tell if a Grange is really in touch with the community they serve just by listening to how they describe themselves. Try it the next time you talk to someone about their Grange. Are they involved in the Community or just in themselves? Education is always a great idea for a Grange to become relevant in their community. 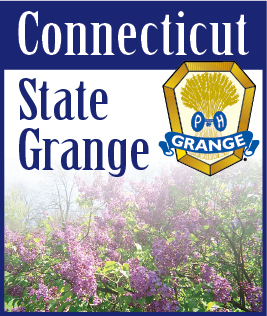 Whether it is the ever-popular Dictionary Project for school kids or a town hall meeting to talk about the upcoming school levy to educate voters, the Grange is helping to educate the community. Lots of Granges are good at service projects and programs. This is good because we are helping folks and people see our relevance. The Grange has from the beginning offered a voice to the people. Grange brings people together and offers its members the opportunity to add their voice so that we can be heard on issues and policies that effect us all. Grange has always been known for its Legislative voice. Our non-partisan stance and our policy driven grassroots actions give us a leg up in talking with any elected official regardless of party. Granges that pursue legislative actions as part of their program become very relevant in small communities trying to fight for or establish their own identity. Creating Grange Growth by actions that add value to our families, that give them friendship/ fellowship, fun, activities for the whole family, and opportunities for personal leadership development is growth that ensures the Grange staying power in a Community. Creating Grange Growth by actions like education, service projects and programs, and legislative actions will ensure the Grange becoming relevant in the community. Now what action can you help start in your Grange to create Grange Growth? If you need help getting started, check out the National Grange website at www.nationalgrange.org or send an e-mail to membership@nationalgrange.org and I will be glad to give you some ideas and maybe even some materials.